Known worldwide for its banks, Zurich is the financial center of Switzerland. 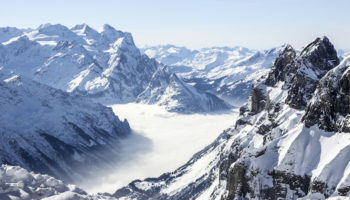 It has the largest and busiest airport and railway station in the nation, making it the first introduction to Switzerland for many foreign tourists. 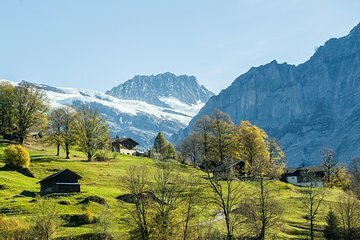 It also has a reputation for being clean and efficient, and is often ranked as having the highest quality of life anywhere in the world. This pillared neoclassical building may not be the most architecturally iconic building in Zurich, but it holds an incredibly important place in the history of opera. The original theater that was built here was the main location for Richard Wagner’s works during his exile from Germany. It was also home to the world premiere of Chekov’s opera. Though it has gone through many architectural versions, today’s opera house pays homage to composers like Weber, Wagner and Mozart, as well as writers like Schiller, Shakespeare and Goethe with prominent busts. The opera house continues to be a world-class venue for Opera, and seats twelve hundred. This pedestrian-only green space in Old Zurich has a long history. 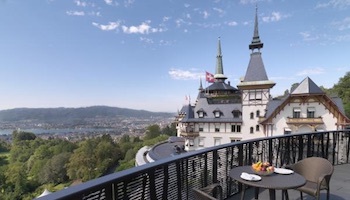 It sits on Lindenhof hill, along the banks of the Limmat river, which give it a great view. The site has been the home of a Roman Castle, and a place of civil gathering. The outer square is flanked by beautiful old mansions and other buildings like the masonic lodge and the Lindenhof fortification. It serves a main role in the April holiday of Sechseläuten, as it becomes the main base of operations for each year’s chosen guest canton. The Kunsthaus Zürich houses one of the most important art collections in Switzerland assembled over the years by the local art association. The collection spans from the Middle Ages to contemporary art, with an emphasis on Swiss art. Major works by artists such as Claude Monet, Edvard Munch, Pablo Picasso and the Swiss Alberto Giacometti can all be seen here. The museum was designed by architects Karl Moser and Robert Curjel, and opened in 1910. Particularly notable are the several preserved Moser interiors in the original section of the museum, decorated in masterful Neo-Grec style. This “Great Minister” church is one of Zurich’s four main churches and believed to have been founded by Charlemagne. 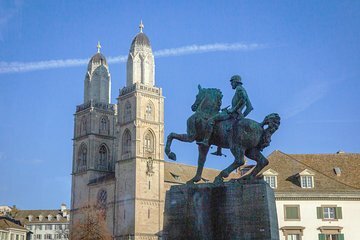 The legend states he commissioned a church on the site where his horse fell to its knees by the tombs of Zurich’s patron saints. The twin towers of this church are often considered the most recognizable landmark in all of Zurich. The church has had many different upgrades to its original twelfth century version. Modern additions to the church include stained glass by celebrated artist Augusto Giacommetti, and Bronze sculpted doors by Otto Munch. The church continues to be home to the crypts of Felix and Regula, the patron saints of Zurich, and an honorary statue of Charlemagne as well. 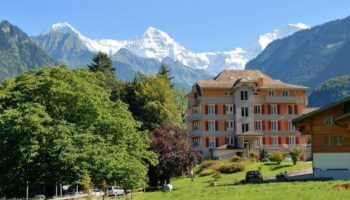 The Swiss National Museum houses extensive collections that touch upon every aspect of culture and the art of living in Switzerland, from the Stone Age to the present day. The museum building was built in 1898 by Gustav Gull in the form of a French chateau. It contains a number of unique pieces like an armory tower and a large collection of religious wooden liturgy carvings, panel paintings, and altars. 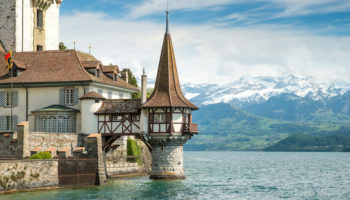 A historical collection of Swiss coins dating back from the middle ages, and a wonderful chivalry display and gothic art collection round out this uniquely excellent museum. After a day of browsing, the lakeside of the museum is also a stop for one of the tour boats on Lake Zurich. Known as the women’s church, this church is considered one of Zurich’s four main churches. Fraumunster was originally built in 853 by Louis the German for his daughter, Hildegarde, to have a place to worship. It was a convent for seven hundred years, and at one point the abbess was called to be ruler of the city. Today, the church is open for services and tours. 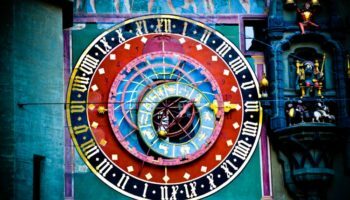 Of special interest are the stained glass windows, some as tall as 9 meters (30 feet) high, as well as frescoes by the artist Paul Bodmer and the church clock tower. This Zurich’s street of high-end couture shops is the best-known shopping area in all of Zurich, as well as the most expensive real estate in all of Europe. 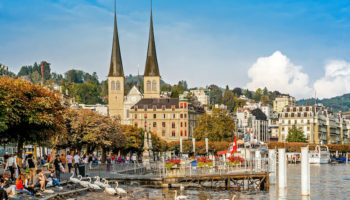 Many of the world’s best known designers have stores here, along with the world headquarters of Credit Suisse, and the delicious chocolate shops and cafes of Paradeplatz square, on Lake Zurich, at the end of the street. This high-end street came from humble beginnings, however. It was created out of the exterior moat when the city’s walls were pulled down, and was once called Fröschengraben, or the ditch of frogs. 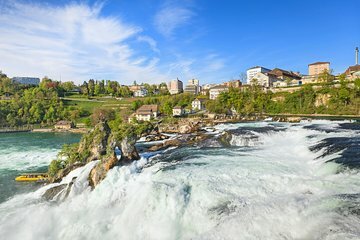 People who love great views can’t afford to miss this mountain plateau that overlooks the city of Zurich and adjacent lake of the same name. 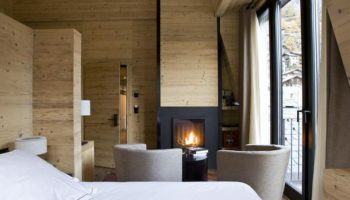 The mountaintop has a small hotel called Uto Kulm and two towers, one for television signal and the second is a designated lookout that costs a small fee to use. Uetliberg can be reached either by walking trail from Albisguetli, Triemli or Albisrieden, or by rail from Zurich. The summit is a great starting point for camping and hiking to some of the other mountains on the chain. Zurich Altstadt comprises the area of the historic town just before the twentieth century. 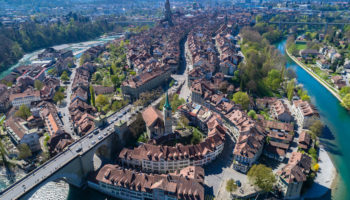 It has kept an older architectural feel here, and is home to many landmarks, plazas and other popular tourist attractions in Zurich including Lindenhof, Fraumunster, St Peter’s Church, the New Market and the old Medieval Rathaus quarter. Architecturally, there is a blend of medieval and gothic, and visitors can still see where the old ramparts of the ancient walled city once were. 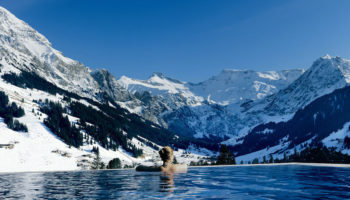 This large, glaciated lake was formed by glaciers in the Alps and stretches from Zurich to many other smaller towns, including Thalwil and Kusnacht. The lake is very clean, and is home to many different beaches and swimming areas. Starting from the Bellevue area, a boardwalk goes for about 3 kilometers along the lake towards Tiefenbrunnen. About halfway from Bellevue there is a meadow where it is great to relax on a sunny day. Boat lovers will find a large number of companies offering passenger ships, which can give tours of the lake or take a ferry to some of the other towns on the lake. Travelers here can find large manors, and beautiful islands to explore.